The LA Breakers has boys teams at every birth year age group from 2011 to 2000. Those teams compete in the Southern California Developmental Soccer League (SCDSL). The LA Breakers has girls teams at every birth year age group from 2010 to 2000. 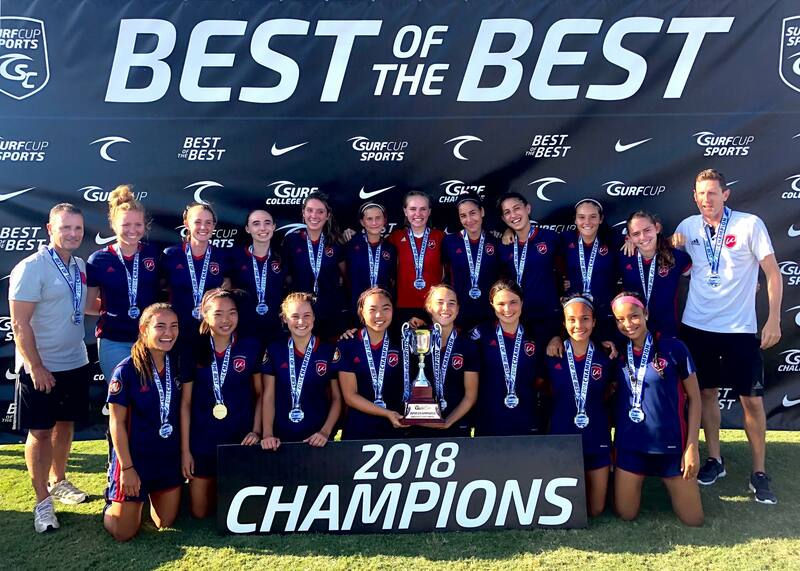 Our Elite 2006 through 2000 age teams compete in the Southwest Conference of the Elite Clubs National League (ECNL). All other teams compete in the SCDSL. If you are interested in trying out for one of our teams, please see the Girls Teams and Boys Teams pages and contact the coach(es) in your age group. For boys teams, you can also contact Boys Director Tim Pierce at tpierce@labreakersfc.com or at (310) 617-4014. For girls teams, pleae contact Girls Director Richard Simms at rsimms@labreakersfc.com or at (310) 490-3638.